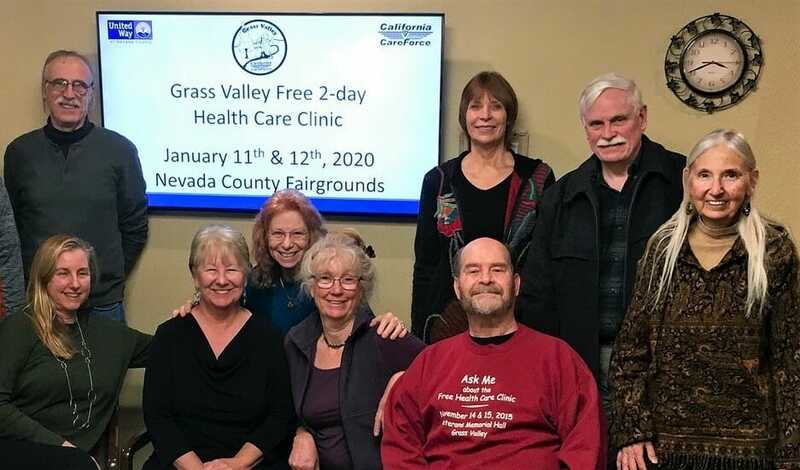 March 22, 2019 – On Tuesday, April 2nd representatives of the Grass Valley Free 2-day Health Care Clinic planning committee will be making a presentation. If you are interested in finding out more about this great community event, join us for an informative evening at the Nevada County Democrats Education Forum April 2nd at the Best Western Conference Center. Be social and enjoy pizza and salad from 5:30-6pm ($5 donation requested for food). From 6pm-7pm, learn all about what you can do to help over 1,000 members of our community receive free dental, vision and medical care during the 2-day clinic. United Way of Nevada County and California CareForce are overseeing the planning and implementation of the second massive two-day free medical clinic in Grass Valley, this time set for Jan. 11 and 12 of 2020 in the Nevada County Fairgrounds. Organizers say they are expecting to serve over 1000 patients over the two days, as the number of those lacking access to proper health care continues to rise. In addition, organizers hope to ramp up fundraising, outreach efforts and recruitment of medical staff with the goal of doubling the number of patients treated. United Way of Nevada County is currently compiling a list of those interested in volunteering. Medical and general volunteers will be needed. If interested, send an email to admin@uwnc.org and state how you would be able to help. 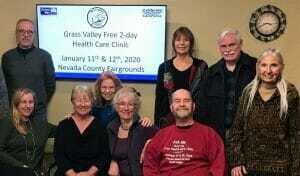 To make a donation to the cost-free medical clinic set for January of 2020, checks can be made out to United Way of Nevada County, with “Grass Valley free clinic” written on the bottom of the check. The address is United Way of Nevada County, P.O. Box 2733, Grass Valley, CA, 95945. Donations may also be made online via credit card or PayPal at www.uwnc.org, or by calling United Way at 530-274-8111.